The CNC method has been relatively recent development in the wire forming world, and has done much for productivity and automation. CNC machines work in conjunction with current wire forming machines by programming them to perform operations more automatically. 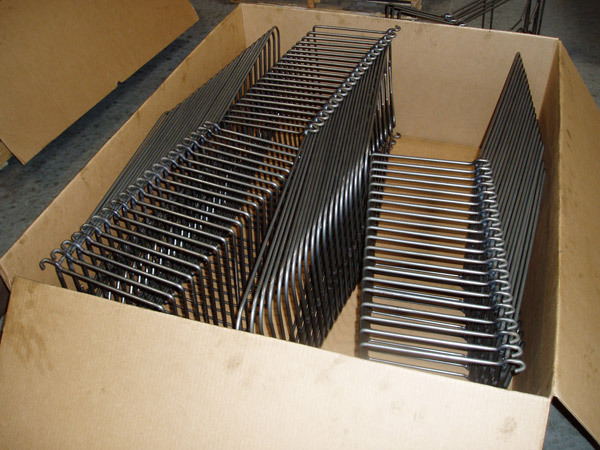 Once programmed, a wire forming machine can continuously fabricate wire parts or entire wire forms, allowing for the complexity of the wire design. CNC can accommodate both 2D and 3D wire forms. CNC Wire Forming machines work with a variety of metals, such as aluminum, steel, stainless steel, nickel chrome, beryllium copper and brass. Customers can also request specific diameters for their wire, and the wire can be taken directly from coil. Common major components of CNC machines are benders (2D or 3D), turntables, straighteners, benders and feeders. Additional features are generally available upon request. For instance, customers can request accessories for punching, chamfering, drilling, threading, piercing, swaging, welding, etcetera. 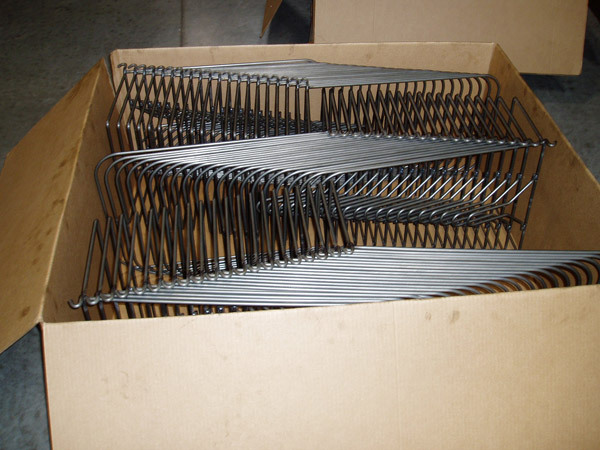 Examples of wire form products are: brackets, enclosures, baskets, handling equipment and racks. Industries that often find good use out of the CNC machine are food service, transportation, construction, medical, lighting and telecom industries. CNC Wire Forming machines are very useful because they speed up production and are fairly simple to use. Additionally, because the forms drawn and produced by a computer, they are highly accurate and uniform, even when very intricate. This particular attribute of the CNC machine makes it a great asset in creating surgical tools and medical devices. Another advantage of the CNC machine is its versatility and its longer applicability. The CNC Wire Forming machine keeps a company moving in the direction of new technology, making adaptations easier as the machines are fine-tuned and new technology continues to emerge. Since CNC machines have a computer memory, the machine can be reprogrammed to produce different wire forms as needs change. This saves money on buying a new machine, as well as space in a production area. It also cuts down on the use of resources, and is thus better for the environment. CNC Wire Forming CNC stands for Computer Numerical Control, i.e., machines with a computer memory. CNC Wire Forming refers to the process of manipulating wire into shapes, using a machine with a computer memory.